China’s central bank guided the yuan lower Wednesday for the sixth trading session in a row, its longest losing streak since January. 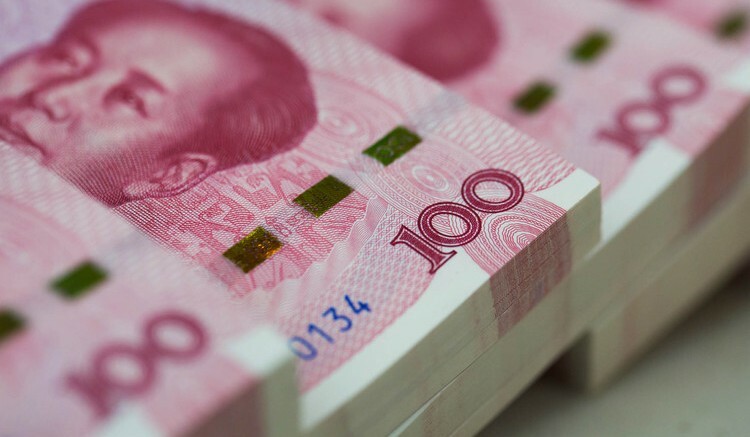 The People’s Bank of China set the daily midpoint for the dollar-yuan pair at 6.7258, marking a 0.24% decline in the yuan from Tuesday’s midpoint. The PBOC maintains close control of the currency’s value onshore and allows the yuan to swing just 2% around the level it sets each day. Wednesday’s fixing put the yuan at its lowest level against the dollar since September 2010. The PBOC set the yuan weaker for six straight trading sessions during a period that spans the Golden Week holiday in China. It marks the longest stretch of weaker yuan fixes since the eight sessions ended Jan. 7. The yuan has fallen 0.7% so far this month, on track for the biggest monthly decline since June, according to Thomson Reuters data. Since Chinese markets were closed for the first week of October, that move has happened entirely in the past three days. The latest bout of yuan weakness comes after the International Monetary Fund added the currency to its elite group of reserve currencies on Oct. 1. 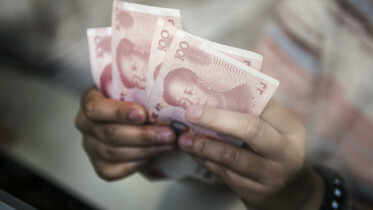 Traders and investors said the PBOC had an incentive to keep the yuan’s value fairly stable last month, ahead of the yuan’s inclusion in the IMF basket and as China hosted leaders of the world’s largest economies at the Group of 20 Summit in early September. The yuan rose 0.1% against the dollar in September. To be sure, the dollar has advanced broadly in recent days as comments from U.S. Federal Reserve officials and economic data have boosted investors’ expectations for a U.S. rate increase this year. Higher interest rates tend to lift the value of a currency, as they attract investors seeking yield. The Dollar Index, which measures the dollar against 16 other currencies, has gained 2% so far in October. “The weak [yuan] fixing in the past few days is mostly driven by the strong dollar,” said Ying Gu, Asia rates and foreign-exchange strategist at J.P. Morgan. Still, many strategists continue to expect the yuan to fall more this year because of domestic factors. China’s economy is slowing and capital continues to leave the country, both of which should put pressure on the yuan. Jason Daw, head of emerging markets FX strategy at Société Générale, this week reiterated his call for investors to short the offshore yuan against the U.S. dollar, euro, Japanese yen and Australian dollar. Shorting a currency is a bet that it will fall. In such a trade, an investor typically borrows the yuan overnight in Hong Kong and swaps it for dollars, hoping to exchange the money back the next day after the yuan has declined.